Pinterest added a new option in its website to help its users find more of what they would like to see. This new feature shows an ‘Explore Interests’ option under the category menu on the top left-hand side of the Pinterest home page. On selecting ‘Preview! Explore Interests,’ users will be sent to an interests page that is personalized according to the users pins and likes on its own boards. Broad categories like 'technology', ‘travel’, 'music', ‘recipes’ can be seen easily with this offerings from Pinterest. 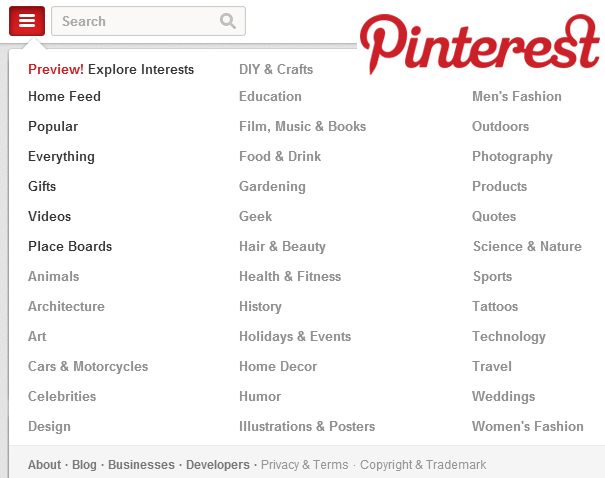 Pinterest's effort that offers "Interests exploring" and that are based on the topics that are of interest to its users would definitely give users a wide space to pin in more category based selections. 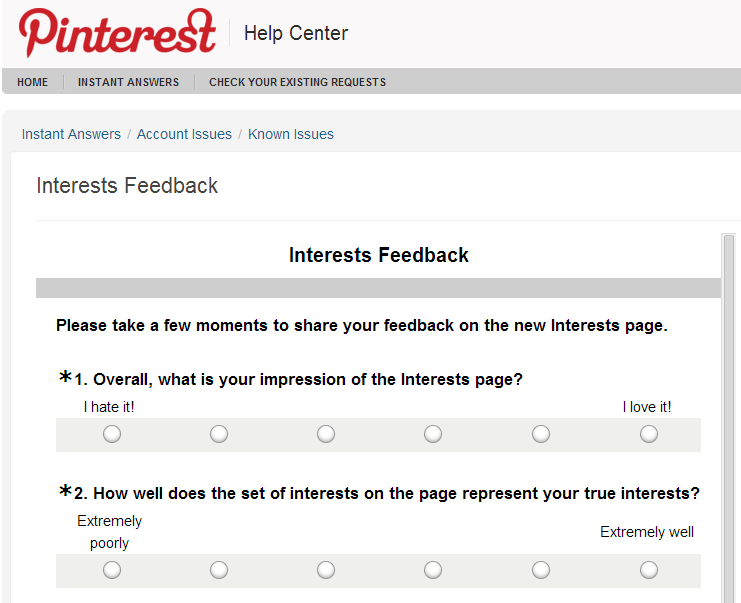 It also offers its users a Feedback form for this new feature 'Interest'. users may share their experience with this new addition by the Pinterest.